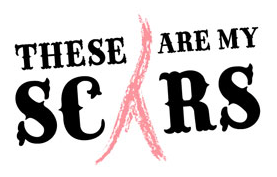 Welcome to These Are My Scars. I hope to share with you what it is like being a Lifer living with metastatic lung cancer as a young woman. Along the way I hope to share with you some of the amazing research that is happening in the area of lung cancer care. As an advocate, I hope to raise awareness for a disease that is often stigmatized as a “smoker’s disease” and change people’s perception of what someone with lung cancer looks like.